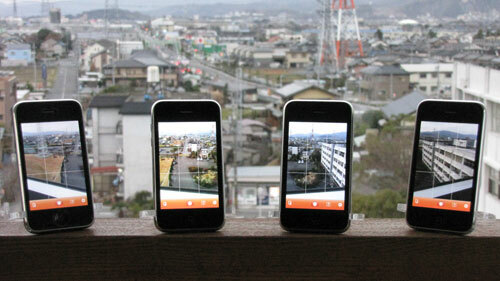 AirCamera is an application that makes it possible to control the iPhone’s camera via a network. It allows you to take photos simultaneously with multiple iPhones, so it’s perfect for panorama and multi-angle photography. AirCamera includes convenient functions for use with multiple iPhones, such as the ability to synchronize settings. What’s more, AirCamera can be controlled by other applications that support the OSC (OpenSound Control) protocol. Commands are sent to all iPhones and computers which are connected to the same local area network. AirCamera will act simultaneously according to the received command. Please refer to the support site for more information. An example of the OSC control application is also provided at the site. – AirCamera is not supported on a device without a camera. – The amount of photos you can upload to Flickr depends on your Flickr account. – Wi-Fi based LAN connection is required to send and receive commands. You can upload pictures to Flickr when you register your account for AirCamera as below. Flickr uses Yahoo! account. (1) Tap the gear (settings) icon. You’ll see the Flickr Sign In in Safari. (4) Enter your Yahoo! ID and the password. 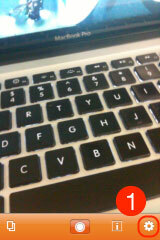 (5) Tap “Sign In” button. 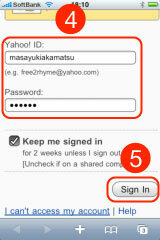 or sign up to create your Yahoo! account. 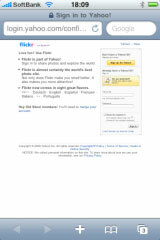 (6) Turn “Upload to Flickr” on. This is the source patch of AirCameraControl application. 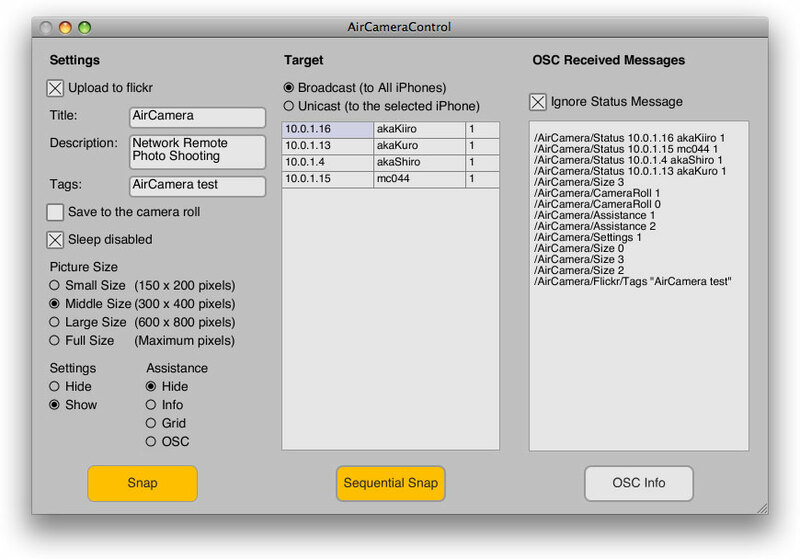 All OSC messages for AirCamera are broadcasted to all iPhones and computers in the same LAN (Local Area Network). Both of OSC input port number and OSC output port number are fixed as 56000. AirCamera OSC messages are below. Show the additional information on the screen. Show or hide the settings. Turn “Upload to Flickr” on or off. Set the title of the picture you are uploading to Flickr. Set the description of the picture you are uploading to Flickr. Set the tags of the picture you are uploading to Flickr. Turn “Save to Camera Roll” on or off. Set the size of the picture. Turn “Sleep Disabled” on or off. Show the status of AirCamera. Hot do you connect to your computer -> How? via Wi-Fi. why can I not change network settings -> You can change network settings but the port number (56000) is fixed. Broadcast setting does nothing, Yes you can connect to Wfi but HOW, no Instructions, How do you use the OSC voice cammandson on a PC. SHOW EXAMPLES. Hi Barry, “Broadcast Settings” performs sending the current settings (ex. Upload to Flickr checkbox status, etc) to the other AirCamera(s) in the same local area network. Nothing seems to happen on the screen which you tapped. Does this software enable multiple programmable photo captures? I’m looking for software like this that controls the iphone to take a specified photo count, and a feature that will wait a specified amount of seconds between takes. A syncing feature between 2 phones would be ideal as well. Does AirCamera have this, or when will you make these features part of the software? Hi Jared, Yes, it does it if you write a host program. I think it’s not so difficult. Please also check my another application, Snappy. You can use the Timer mode and the repeat option. I was wondering how many cameras can be controlled at once as it might be a good way of doing a cheap version of the bullet time effect from the matrix. Also are you planning on adding the capability of triggering the video camera on the iphone? Hi Jon, The number of cameras (iPhones) is theoretically the number of IP addresses you can set. Thus hundreds (or more) of cameras is possible. Thank you for a nice idea of a video shooting control. I have no plan at this time but I have to think about it…. have an ipod touch 4 latest model with retina display and cam. itunes store says the app works on there. here on your website it says no. possible to work on ipod touch 4? Dear Chris, I confirmed that AirCamera works on the late iPod touch with Camera. I will update this web site soon. Sorry for that and thank you for pointing it. I want to be able to fire iphones with air camera from a mac machine. I tried using the aircameracontrol mac app you have provided, though both iphone and mac are on the same wifi connection, I cannot see the iphone in the list of target devices. Please help. Please check the firewall of you Wi-Fi network. AirCamera needs UDP port 56000. 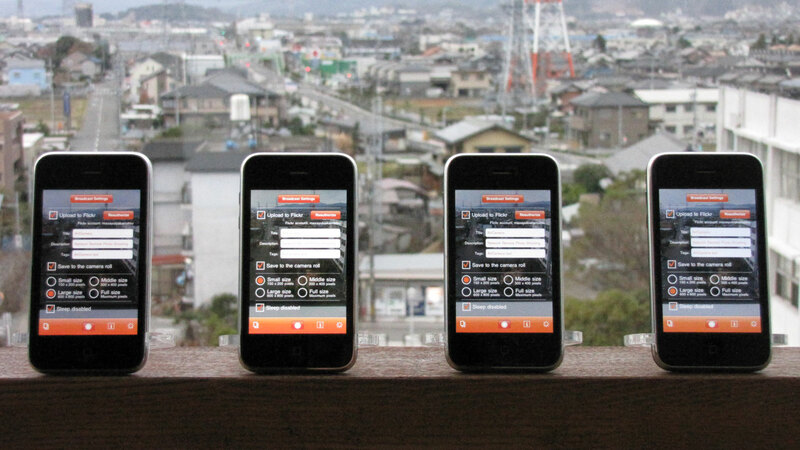 Or you can connect your iPhone to you Mac directly (without Wi-Fi router). I checked the apps today and they worked fine on iPhone 5s, iOS 7, MacBook Pro 2013, Mac OS X 10.8.5. Thanks Akamatsu San – for a super quick answer. I have a question, How can I connect my iphone to mac without wifi? Is it directly – like a wired connection? Maybe you should set IP addresses manually both for Mac and iPhone. Also, is there any way we can connect over phone – I can call you at your convenient time. Please mail me – if possible. iOS 8-compatible AirCamera 1.2.0 has been released. You can upload images to Fkickr. Thank you for your patience.